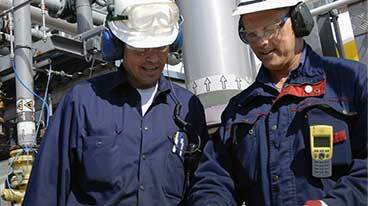 Aging Infrastructure | Matcor, Inc.
Bill Knox knows to respect natural gas. He’s a former oil- and gas-field worker who helped lay the foundations for a mammoth underground gas storage operation three miles from his home; he lost a friend in a gas explosion in Texas; and he well remembers 10 years ago when gas escaped from underground storage and blew up in Hutchinson, 40 miles northeast of Cunningham, killing an elderly couple. Knox says it’s unsettling to know that because of a federal court decision last year, neither the state nor federal governments are inspecting the gas field near his home, or others holding thousands of times the amount of gas that caused havoc in Hutchinson. Since the federal district court in Topeka struck down Kansas gas-safety laws last year, 11 underground storage sites with a capacity of more than 270 billion cubic feet of gas have gone uninspected for 18 months, according to state officials. The state can’t inspect them. The federal government has chosen not to. As a result, thousands of Kansans live on and around uninspected gas-storage fields that dwarf the system that caused the Hutchinson disaster. The gas company that sued Kansas says it’s not a concern, that internal inspections and policies are enough to ensure public safety. “We’re committed to the safe, reliable and efficient operation of our pipeline systems, related infrastructure, and storage facilities in Kansas and in all areas where we operate,” said a statement from Richard Wheatley of the Colorado Interstate Gas Co. Earlier this year, members of the state House and Senate voted unanimously to ask the federal government to restore the state’s authority to regulate interstate gas storage. Two joint resolutions got snagged in Statehouse scheduling, so the House sent its own unanimous resolution to Washington. So far, it seems to have been ignored. “I guess when we have the next field blow up, maybe the feds will figure out they did it wrong,” said Rep. Carl Holmes, R-Liberal, chairman of the House Energy and Utilities Committee and vice chairman of a special committee that studied underground storage safety last year. “Everything was going fine, we had some of the toughest rules in the nation until the feds came in and intervened,” Holmes said. Both Holmes and Senate Energy Committee chairman Pat Apple, R-Louisburg, said they expect to revive the joint resolutions when the Legislature returns to session in January. 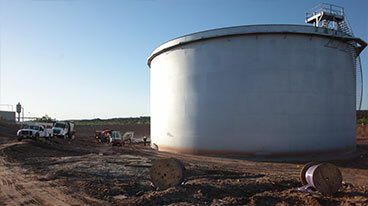 Kansas is Exhibit A for what can happen when gas escapes from an underground storage facility. In January 2001, gas leaked from an underground salt cavern at Yaggy and flowed seven miles underground to Hutchinson, where it popped up through abandoned brine wells and exploded. The first explosion destroyed about half a block of downtown businesses and shattered glass for blocks around, but no one was killed. A day later, gas found another path to the surface and exploded in a mobile home park in east Hutchinson, killing an elderly couple. It took more than a month for flares to burn off the estimated 143 million cubic feet of gas that escaped from storage. The downtown businesses were never rebuilt, the mobile home park was closed and the Yaggy field was shut down, although it owners are still slowly drawing down the gas under the supervision of the Kansas Department of Health and Environment. Following the accident, the Legislature voted to have two state agencies split responsibility for regulating underground storage of hazardous gases and liquids. KDHE would regulate man-made underground salt caverns like Yaggy, the only salt storage in the state currently holding natural gas. The Kansas Corporation Commission (KCC) would regulate “porosity” fields, where high-pressure gas is pumped into depleted oil fields, gas fields and reservoirs and held until it is piped out to customers. Following last year’s court order, the KCC continues to regulate storage fields that do business only within the state. But according to federal records, those eight fields hold only 12 billion cubic feet of gas, a fraction of the 272 billion cubic feet of capacity in the interstate storage fields the state is no longer allowed to regulate. Officials of the U.S. Department of Transportation’s Pipeline and Hazardous Materials Safety Division, the federal agency responsible for interstate gas transport safety, declined to comment. A spokeswoman for the agency requested written questions, which went unanswered. But department records show that DOT considered and rejected federal standards for underground storage after a devastating propane explosion killed two people in Brenham, Texas in 1992 — nine years before Hutchinson’s disaster. A key natural gas pipeline which crosses southern New York state is in danger of rupturing and could pose a safety threat, according to a recent report from regulators. An investigation by the New York State Department of Public Service into a leak on the Millennium Pipeline in January found that uninspected faulty welds were responsible for the accident. Now the Pipeline and Hazardous Materials Safety Administration is conducting its own investigation along a large stretch of the pipe between Corning and Ramapo, concerned that similar problems are likely to occur at other points on the line. “It appears that the continued operation of the affected pipeline without corrective measures would pose a pipeline integrity risk to public safety, property, or the environment,” the PHMSA said in a letter to the pipeline operator, Columbia Gas Transmission, on July 6. A spokeswoman for Millennium was not immediately available for comment. The company had thirty days to respond to the PHMSA. PHMSA, which is part of the Department of Transportation, requested that Millennium operate the pipeline at a reduced pressure last month, and the reduction remains in place until further notice, according to the Millennium website. The Millennium Pipeline is a 182-mile system extending from Independence in Steuben County, New York to Buena Vista in Rockland County, New York. It can deliver up to 525 dekatherms (525 million cubic feet) per day of supply.